REHDA Melaka led by the Chairman Dato Sri Ngoh King Hua paid a technical visit on the Mayor of MBMB, Datuk Zainal Bin Husin & his technical officers on 26 July 2016 as to foster a closer rapport amongst both parties as well as to discuss issues faced by fellow members. 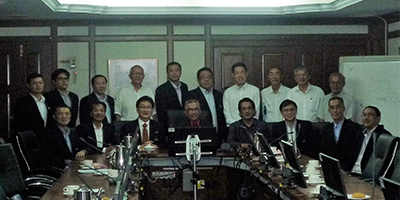 REHDA Melaka committee members recently conducted a meeting with JPBD Melaka on 29 June 2016 at Wisma Negeri as to understand & discuss on the new planning guidelines of Melaka State (Garis Panduan & Piawaian Perancangan Negeri Melaka – GPP). The meeting was chaired by Tn Mohd Faidzal Bin Hamzah, the Director of JPBD Melaka. The meeting was very interactive and fruitful as committee members were able to directly get clarifications and feedback pertinent to GPP. JPBD Melaka has agreed to relook into the GPP based on the feedback provided by REHDA Melaka. 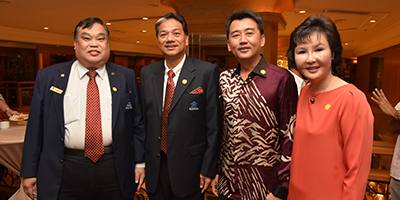 REHDA Melaka Annual General Meeting was held on 28 April 2016, 10 am at Ramada Plaza Melaka. Courtesy Call on Yang Berhormat Datuk Wira Hj. Naim Bin Abu Bakar, State Secretary of Melaka was held on 8 April 2016 at Seri Negeri Ayer Keroh. The visit was made to foster closer working partnership between Melaka State Government and Melaka developers. Both parties shared and exchanged ideas and views pertaining development in Melaka. 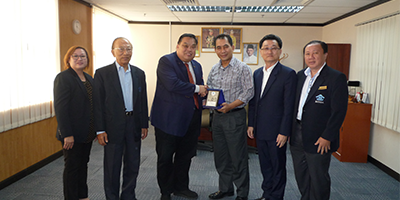 REHDA Melaka paid a courtesy visit on Tn Mohd Faidzal Bin Hamzah, Director of JPBD Melaka on 6 April 2016, 10 am at Wisma Negeri, Ayer Keroh. REHDA Melaka led by the Chairman Dato’ Sri Ngoh King Hua paid a technical visit on the Mayor of MBMB, Datuk Zainal Bin Husin & his technical officers on 26 July 2016 as to foster a closer rapport amongst both parties as well as to discuss issues faced by fellow members. Issues highlighted including matters related to OCS 3.0, LED street lighting matters, processing timeframe, earthwork plan approval and etc. 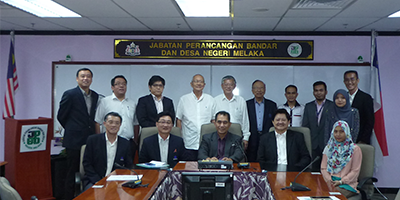 REHDA Melaka committee members recently conducted a meeting with JPBD Melaka on 29 June 2016 at Wisma Negeri as to understand & discuss on the new planning guidelines of Melaka State (Garis Panduan & Piawaian Perancangan Negeri Melaka – GPP). 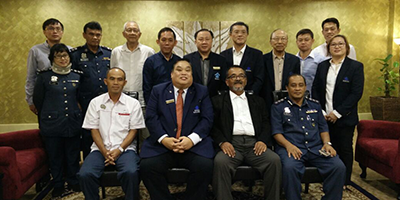 The meeting was chaired by Tn Mohd Faidzal Bin Hamzah, the Director of JPBD Melaka. The meeting was very interactive and fruitful as committee members were able to directly get clarifications and feedback pertinent to GPP. JPBD Melaka has agreed to relook into the GPP based on the feedback provided by REHDA Melaka. •	Topic presented: Accounting tax code & GST 03-Return, partial exemption & annual adjustments; capital good adjustments, Input Tax Credit (ITC) Claims & GST treatment on construction/developers. •	Attended by more than 100 participants. - to discuss on outlook and future development planning of Melaka State. a) JPBD will REPLACE the current requirement of 10% of solid green open space (Kawasan Lapang) & 3.5% for infrastructure and utilities calculation such as On Site Detention (OSD) with the imposition of 7% of solid green open space (Kawasan Lapang) & 3% for infrastructure and utilities calculation such as OSD, either OSD merged or separated with the open space. b) JPBD will RELOOK into the imposition of 20ft back lane requirement on all projects development in Melaka. JPBD will get more details from Infrastructure Corridor & Social Impact Division (BKI) on this imposition. c) JPBD is REVIEWING the imposition of “perimeters planting” requirement on commercial & industrial projects in Melaka. According to JPBD, the perimeters planting applied on commercial & industrial area may not be relevant to certain projects.